We all witness our hair clogging up our shower drains. Sadly, hair shedding is a part of life. 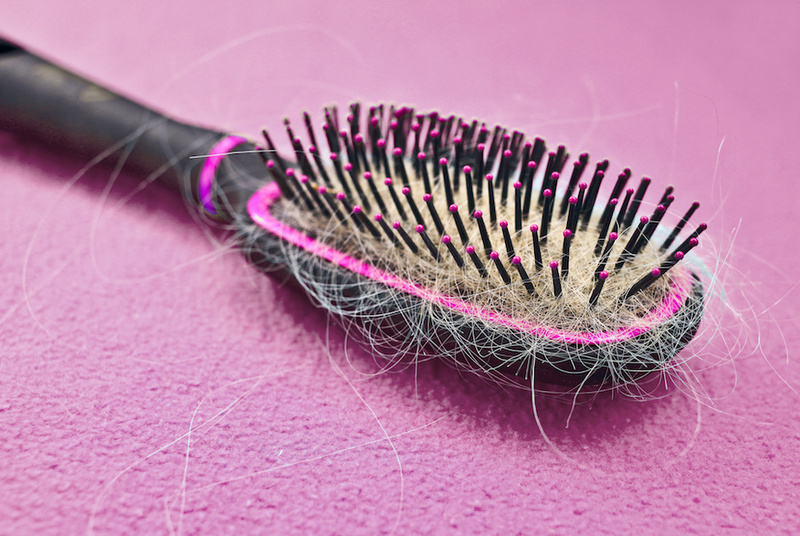 In fact, most of us shed an average of 100 hairs each and every day! But what happens when not strands, but clumps of your hair fall out? Unfortunately, you may be suffering from alopecia, a condition that commonly affects people who are under 20 years old, although all age groups can be diagnosed with it. 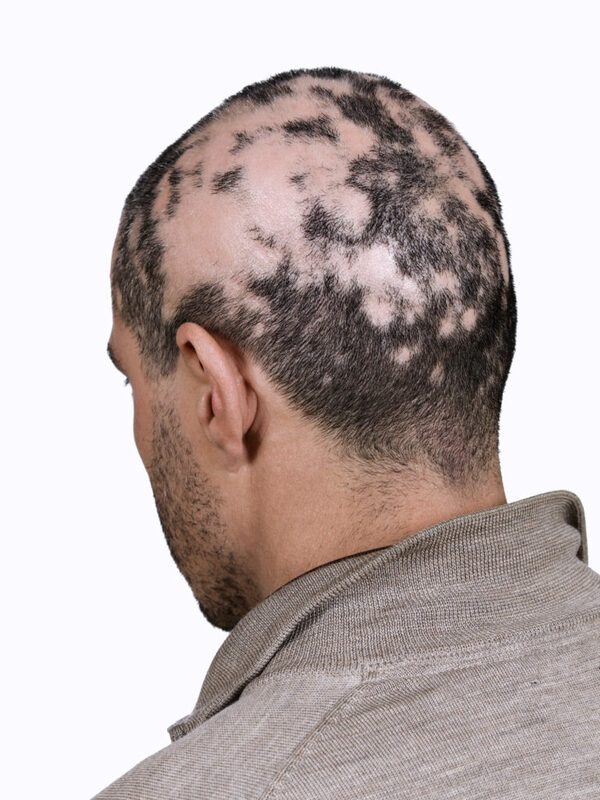 Alopecia can cause extreme hair thinning (androgenetic alopecia), patchy bald spots (alopecia areata) or even a complete loss of hair on the scalp (alopecia totalis) and/or entire body (alopecia universalis). Here, we break down alopecia, and what you can do to treat it. Genes play a roll, so if a close family member suffers from alopecia you’ve got a slightly higher risk of having the condition. And then there’s this doozy: You can blame your own body for alopecia. Sometimes, when your immune system mistakenly attacks hair follicles, the hair that’s growing in these follicle sites falls out. 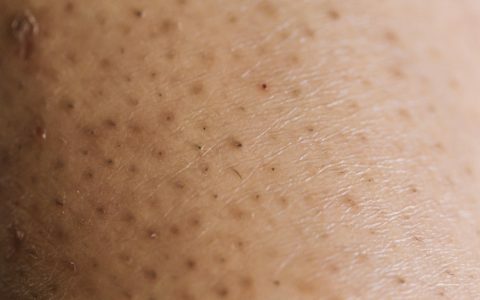 Doctors aren’t sure why your immune system turns on you like this, but the good news is, alopecia areata usually doesn’t cause permanent damage to hair follicles, meaning hair will eventually regrow. So, you’re saying alopecia isn’t permanent? Yes and no. If you experience alopecia once, you’re at risk to experience it again — and this can go on for years until it eventually goes away for good. That being said: Alopecia has varying degrees of severity. Typically, when hair loss is patchy (alopecia areata), hair grows back over a few months, and may be unchanged in pigment and thickness or become finer and white in some cases. 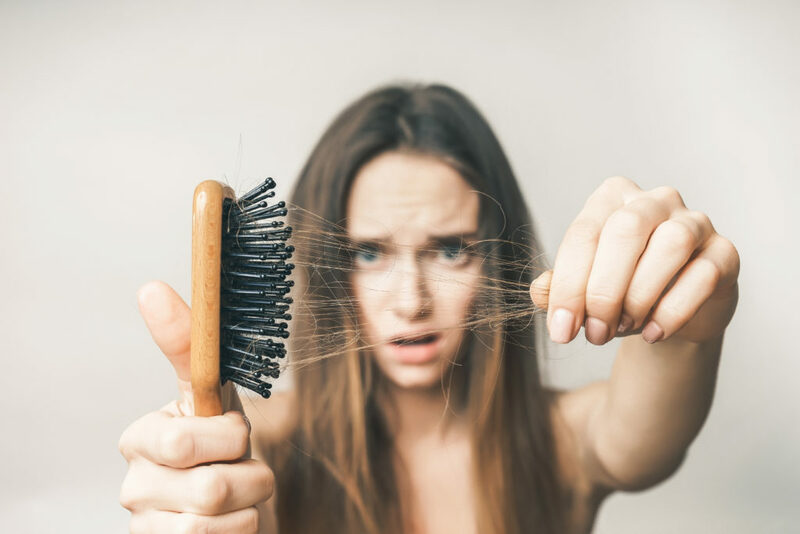 In more extreme instances, a complete loss of hair will occur on one area of the body, grow back and then fall out on another area — and then the cycle will repeat. Even sufferers with widespread hair loss could grow back their hair. But, an estimated 5%-10% of sufferers experience permanent hair loss — typically those who have alopecia totalis or alopecia universalis. This group usually has either a family history of alopecia, had the condition pre-puberty, is prone to allergies, suffered more than a year from alopecia, and/or presents with abnormal nails and toenails (think: color, shape, texture and thickness). How do I know if I have alopecia and not just normal hair shedding? If you’re concerned about your hair loss (who hasn’t taken a look at their hairbrush and freaked out?) it’s best to pay a visit to your doctor. At your appointment, your doctor will assess your medical history and perform a physical examination, as well as ask you about your hair loss, examine your scalp, inspect the pattern of hair loss and maybe even gently pull at your hair to see how readily it releases. If further testing is needed, your doctor will conduct a blood test to rule out conditions that cause hair loss (like iron deficiency, hyper- or hypothyroidism or other forms of autoimmune disease) and/or send off a sample of your hair and a scalp biopsy to a lab for analysis. If I have alopecia, can I cure it? Sadly, no. However, alopecia can be treated. Many alopecia areata sufferers opt for corticosteroids injections, which are anti-inflammatory and work by toning down the inflammatory cells mistakenly attacking your hair follicles. The shots are administered in the bald areas every three to six weeks, with regrowth often appearing four weeks after the last shot. If injections aren’t for you, topical corticosteroids can also be applied to the affected sites. Your doctor may suggest minoxidil (Rogaine) as a complement to topical corticosteroids to help speed up healthy regrowth. Speaking of regrowth: Anthralin, a tar-like ointment that you apply for 20 to 60 minutes and then wash away, may help stimulate hair growth. Of course, you could opt out of treatment because, as we mentioned earlier, in many cases, hair will grow back over time. If you choose this route, it could take a year to regrow your hair back to its former glory. As always, it’s best to see your dermatologist for more treatment options that fit your specific needs and type of alopecia!